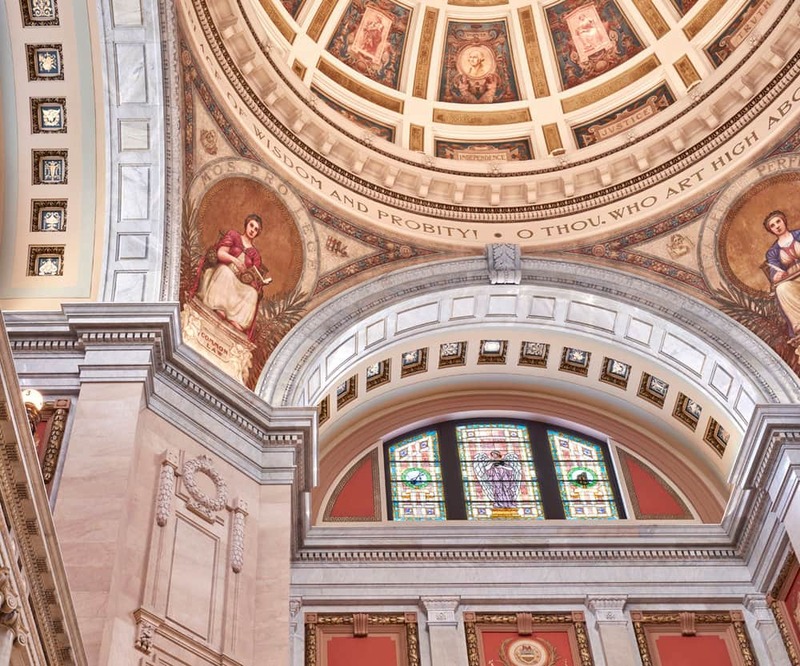 Luzerne County Courthouse Restoration | John Canning & Co.
John Canning Co. conserved and restored all aspects of the courthouses historic fabric: marble, metal, plaster, paint, and artwork. 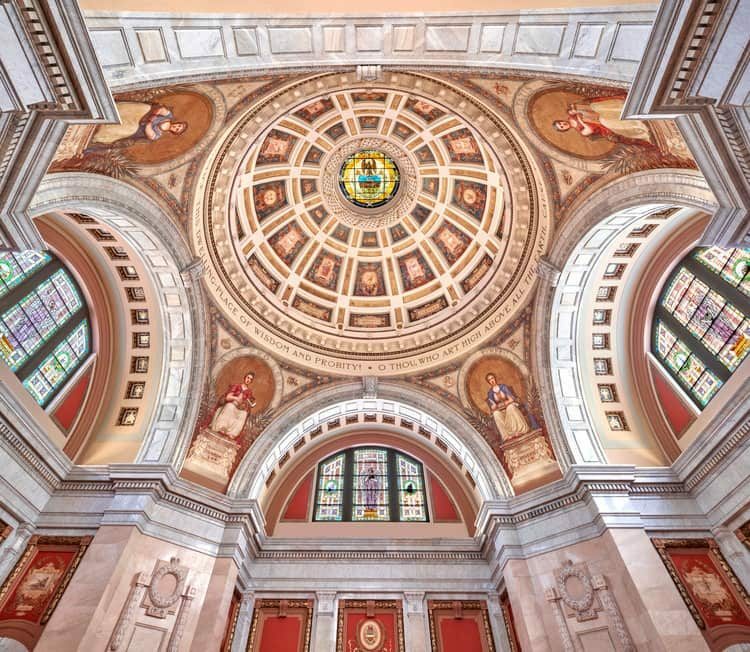 Decades of water damage, mold, mildew, and incompatible localized attempts at repairs made an impact on much of the historic fabric and the preservation of the finishes was a high priority. 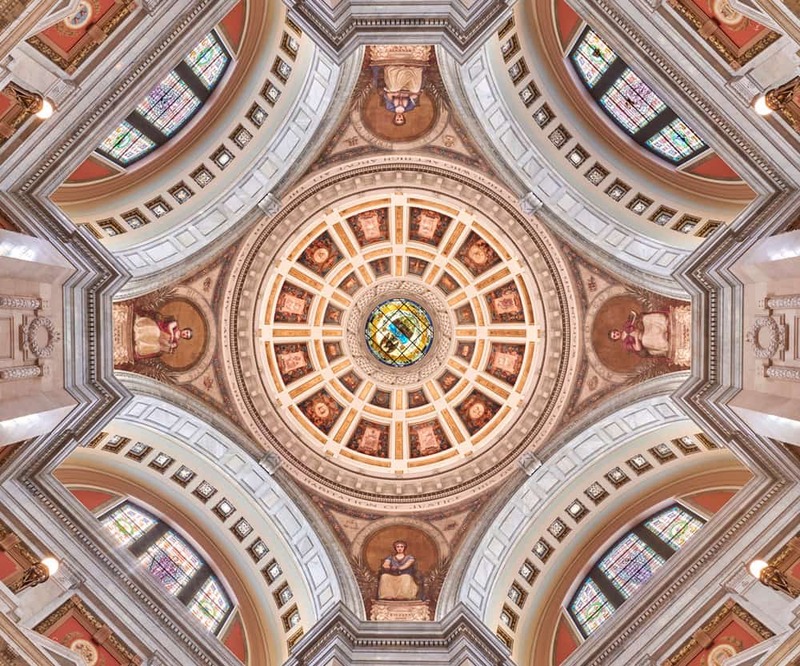 As Phase I of the Courthouse’s preservation goals, the project focused on the rotunda dome, rotunda proper, third floor corridors, and South lobby. 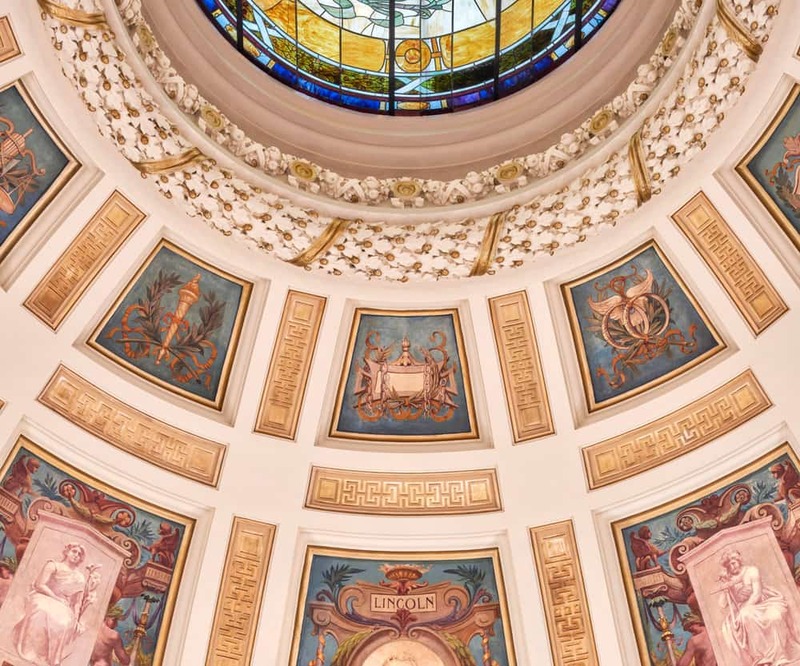 A thorough assessment and analysis of the finishes and artwork took place to determine the conditions and conservation treatments of each mural and establish the original historic color palette. 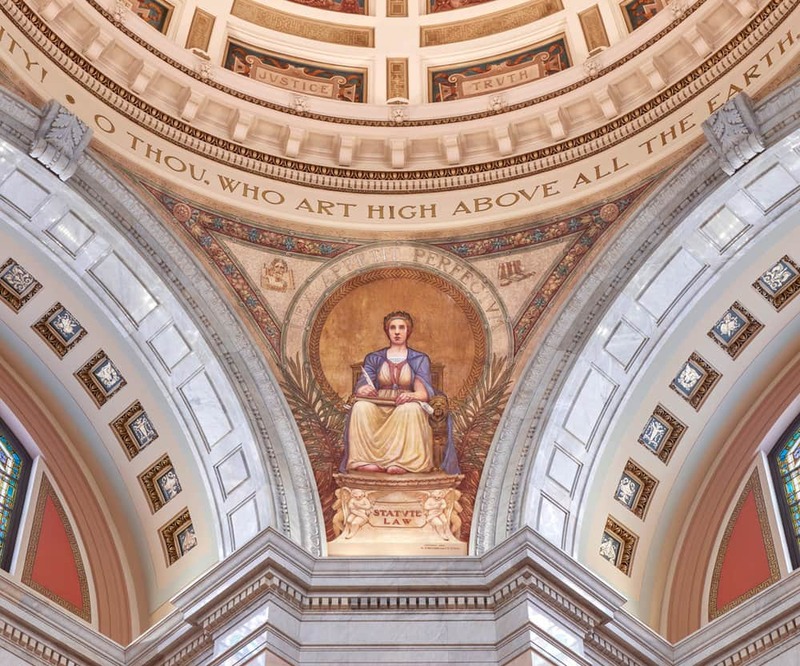 Over 125 murals were carefully assessed, documented and conserved throughout the rotunda proper and third floor corridors. Deteriorated areas of flat and ornamental plaster mouldings were restored using the same plaster materials utilized originally. 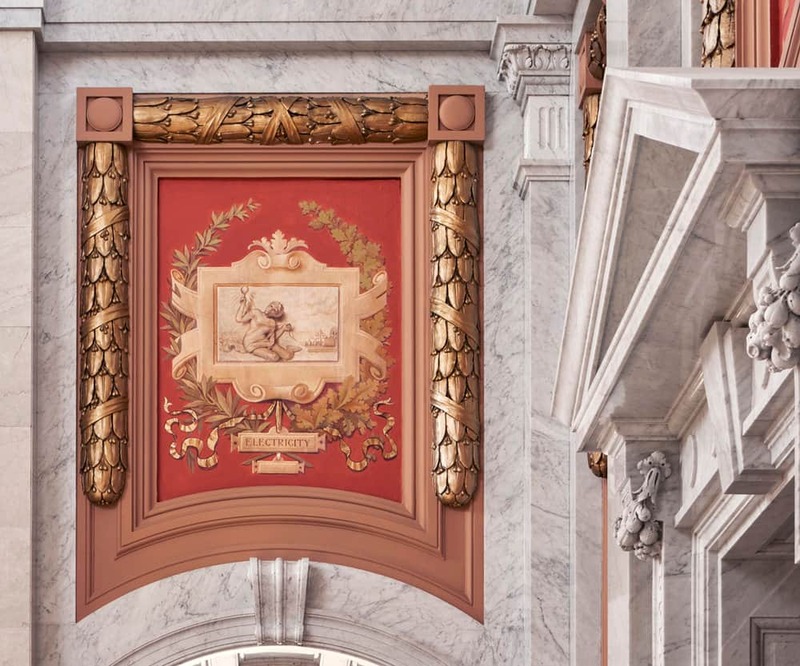 The historic color palette was reinstated which was more sympathetic and related to the botticino marble used throughout the courthouse. The marble features and flooring were carefully cleaned, conserved and repaired where joints had deteriorated. Bronze torchieres, railings, and ornamental features were conserved and cleaned to reestablish their original finish. 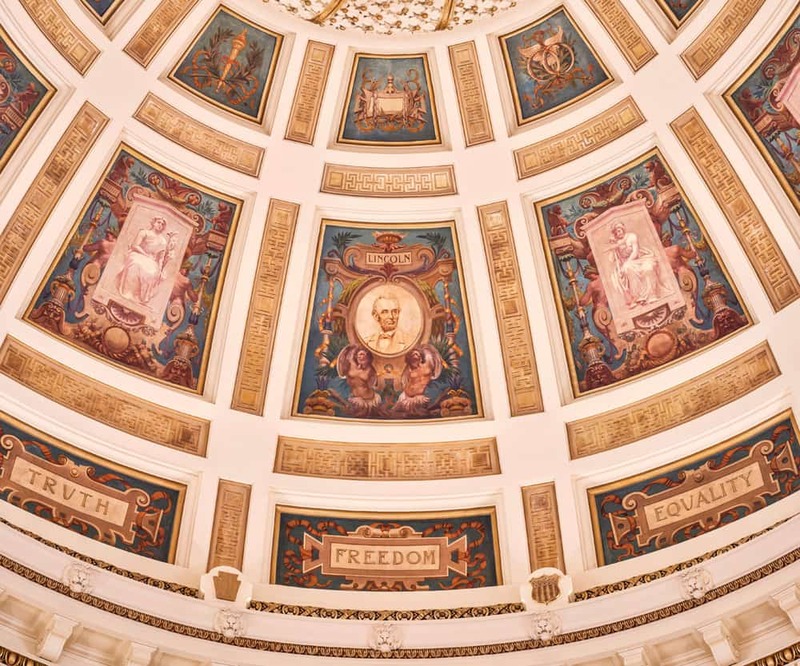 The project took place in an active courthouse over 6 month period without closing or delaying any of the day-to-day operations of the courthouse.